The ETI0014-DE200 (DE200 for short) is a steel-constructed removable drive enclosure for mounting 3.5 inch form factor, half-height or low-profile (up to 1-inch high) SCSI drives into 5.25 inch half-height peripheral bays. The DE200 was designed especially for high shock and vibration environments, providing a lock-down device carrier feature and non-PVC materials. The DE200 is available with either 8-bit or 16-bit single-ended SCSI connections, including versions that support SCSI Wide Ultra2(LVD) implementations with up to 80MByte/sec transfer rates. Some DE200 carrier model versions support 80-pin single-connect (SCA) 16-bit drive types. Options are also available for protective hot swap and/or solenoid drive lock features. DE200 is a product line of drive carriers and receiving frames with models compatible with SCSI or AT/IDE drive types and system interfaces. These modular subsystems house 3.5 inch hard disk drives or 3.5 inch front-loading tape, floppy, floptical, or optical devices for mounting into any 5.25 inch full or half-height storage drive bay. In operation, the DE200 receiving frame defines the specific address of the drive. The DE200 drive-based carrier does not identify the drive address nor does it provide termination; the drive assumes the identity and characteristics of the receiving frame. For this reason, drives may be interchanged indiscriminately. DE200 modules are ruggedly constructed and employ highly-rated mating connectors between the drive carrier and the receiving frame. A drive carrier lock, and drive activity indicator light are standard features, and some family models also provide an ID select indicator and options for hot swap capability and solenoid drive lock. As additional options to DE200 products, ETI offers water-tight drive carrying cases, drive carrier top cover plates, and blank drive plugs. The DE200 is a steel constructed drive carrier and receiving frame for mounting a 3.5 inch SCSI drive into any standard half-height 5.25 inch form factor, peripheral slot (minimum 1.7 inch high). The DE200 is specifically designed for high shock and vibration environments and is equipped with manual lock-down screws which secure the drive carrier within its receiving frame. The DE200 also uses Teflon and halogen-free cables for environments which require non-PVC materials. . The DE200 is available with single-ended 8-bit or 16-bit SCSI connections, including Wide Ultra2 Low Voltage Differential (LVD) interfaces. Some DE200 models support 80-pin single-connect (SCA) 16-bit drive types. *Please call to check for availability of these newer models. The DE200 receiving frames and drive carrier models are available in off-white as standard or black optionally. For Ultra2(LVD) DE200 models, the associated isolator board also includes a repeater function which allows the DE200 to support Ultra2(LVD) applications integrating up to fifteen removable devices. The hot swap board option for the DE200 must be ordered as a separate part number, which will vary depending on the type of interface connection selected. Note: The DE200 hot swap option, unless ordered alone as an optional field upgrade, will be factory-installed unless otherwise specified. . For additional assistance and pricing information, please contact your ETI sales representative. DE200 drive carriers are locked into place with an operator key lock pawl. Removal of the carrier while the drive motor is still running can cause possible damage to the drive and possibly the drive carrier. An available option for the DE200 is a factory installed solenoid bar lock, designed to prevent removal of the drive carrier from the receiving frame for an installer/integrator preset period of time. The device spin-down time that is allocated is user-selectable from 15-45 seconds. The user can access the solenoid timing control via a small timing switch located on the side of the DE200 receiving frame. This timer is preset at the factory to 20 seconds, which is a nominal drive manufacture spin-down time period. Higher performance drives may require longer spin down times (e.g. the Seagate Barracuda requires 45 seconds). Refer to your SCSI device manufacturer’s manual for required device spin down times. The DE200 receiving frame is designed to mount in any standard 1.7 inch-high, 5.25 inch form factor, half-height system peripheral bay. Below are some summarized DE200 features. Feature: Designed to house any standard 3.5 inch SCSI disk drive. Benefit: Allows the addition of any 3.5 inch device into any 5.25 inch half-height peripheral bay. (For front-loading devices, refer to DE150 literature). Feature: Up to Seven 8-Bit or Fifteen 16-Bit SCSI DE200 Devices Can Be Used Per Host Adapter*. Benefit: As many as fifteen removable devices can normally be attached to one computer system using the DE200. *IF the optional DE200 isolator repeater/hot swap board (DX1/200-U2/RH) is NOT also used, the DE200 Wide Ultra2(LVD) SCA model is limited to 9-drive LVD (80 MByte/sec) applications, and the Ultra2(LVD) 68-pin model is limited to 2-drive LVD applications. Feature: Accommodates 8 or 16-bit (Single-Ended or LVD) Host Adapters. Benefit: Capable of interfacing with most Narrow 50-pin and Wide 68-pin SCSI drives available (including SCSI Ultra2(LVD) drives). Benefit: Ideal for 80-pin SCA-2 (Single Connector Attachment) type drives. Carrier Dimensions: (1.68 inches x 5.15* inches x 7.38** inches) (1.5 lb. with installed drive). *DE200 Wide Ultra2(LVD) models: frame depth = 8.29 inches; carrier width = 4.67 inches. **DE200 Wide Ultra2(LVD) Single-Connect model: carrier length (depth) = 7.74 inches. Benefit: Provides a durable enclosure. Feature: Maximum Operating Temperature 50°C (122° F); 75° C (167° F) Storage Temperature. Benefit: The DE200 withstands operating temperatures typical of high-performance drives. Feature: Excellent Front-to-Back Air Flow. Benefit: Supports all drives, including high performance drives. Feature: Conductive Carrier Guide Rails. Benefit: The DE200 drive carrier is grounded as it is inserted into the DE200 receiving frame thus eliminating the problems of ESD ElectroStatic Discharge). Benefit: All DE200 units provide a “soft-start” power-on feature which regulates inrush current flow to the device. Benefit: Interface connectors rated for 25,000 insertions* assure continued performance. *For DE200 Ultra2(LVD) Single-Connect models, insertion ratings follow the insertion rating of the SCA drive. Feature: MTBF : 500,000 hours; MTTR: 5 minutes. Benefit: The DE200 is highly reliable with an estimated 500,000 hours Mean Time Between Failures and only 5 minutes Mean Time To Repair. Benefit: An activity indicator light is located on the front panel of the DE200 receiving frame to identify a specific drive being accessed. Benefit: The physical address of the DE200 device carrier is displayed on the front panel of the receiving frame and is manually selectable by the system manager. Benefit: A key lock on the DE200 can be user-configured to be removable. This feature makes it possible to prevent unauthorized or untimely removal or installation of the device carrier, leaving the operator responsible in control of the unit's use. Benefit: A factory-installed solenoid option prevents premature removal of the carrier and disk/tape drive from the receiving frame while the device motor is spinning, preventing possible damage to the device. Benefit: The hot swap isolator board supports the safe addition or removal of SCSI carriers while the host computer is running. For Ultra2(LVD) DE200 models, this isolator board also provides a system-enhancing repeater function. Feature: Disk Top Cover Plate. Benefit: A top cover is optionally available for 1-inch high devices installed in the DE200 to prevent foreign material from coming in contact with the drive and the while it resides inside or outside of a peripheral bay. Feature: Includes User Manual and Installation Kit. Benefit: Clear instructions for installation and operation are provided. For additional assistance and pricing information, please contact your ETI sales representative. The DE200 was created to provide a reliable and versatile removable drive carrier and receiving frame for 3.5 inch SCSI devices for use in 5.25 inch half-height peripheral bays. The DE200 was additionally ruggedized to perform in high shock and vibration environments. The DE200 was also designed for non- PVC environments, using Teflon ID select cables and halogen-free I/O cables. The DE100 series provides more connector and interface options at this time than the DE200. For front-loading devices such as tape, floppy or floptical drives, the DE150 series can suite your needs. The DE200 is an extremely reliable steel subsystem, competitive in both its durability and reliability. The DE200 design is uniquely intended specifically for high shock and vibration and non-PVC environments. Similar competing products may not be constructed of steel, do not offer a hot swap or solenoid lock option, do not offer all of the interface variations available with the DE200, and do not provide 100% testing with a seven-year warranty. The newest DE200 models* support Ultra2(LVD) implementations containing up to fifteen LVD devices with the use of the DE200 hot swap/repeater isolator board. Without this repeater board, the single-connect (SCA) version can still support LVD implementations (up to 80Mbytes/sec) containing up to nine removable drives. Question: How many DE200s can I use at once with my computer? Answer: Normally, if you have an 8-bit SCSI interface, you can attach up to seven DE200 devices per SCSI host adapter; if you have a 16-bit SCSI interface, you can connect up to fifteen devices per SCSI host adapter. Without the use of the optional DE200 hot swap/repeater board, the single-connect Wide SCSI Ultra2(LVD) version of the DE200 is limited to LVD applications (capable of 80 MByte/sec transfer rates) which implement no more than nine drives, but WITH this repeater board, 16-bit LVD applications with up to fifteen drives are also supported. Question: Will the DE200 frame and carrier fit in my spare computer peripheral slot? Answer: The DE200 has standard floppy drive mounting facilities and is designed to mount into any standard 5.25 inch half-height (minimum of 1.7 inches high) system peripheral slot. Question: I hooked up my disk drive to one of your DE200 units according to the installation manual, but the DE200 LED display shows the letter "u" when I power on the unit, and my computer doesn't recognize the drive. What's wrong? Answer: The letter "u" indicates that the DE200 has been inserted but has not been "locked" into place within the receiving frame. Your drive is not actually powered up. Turn the key counterclockWise from the vertical to the horizontal position to power up the drive. At this point, if your computer's operating system supports mount/dismount commands, use the mount command to access the drive. Otherwise, you may have to re-boot your computer for the system host adapter/controller to recognize the new drive. Question: How do I select the unit number that will be displayed on the front of the DE200's frame? Answer: There is a switch inside the receiving frame which is adjusted with a special alignment tool supplied with your DE200. For drawings and step by step instruction, please refer to your DE200 Installation Manual. Question: Is the DE200 CE-certified? Answer: Yes, the DE200 is CE, UL, CSA, and TüV-approved and designed to meet FCC Class B specifications. Question: What is a "true" a 3.5 inch drive? Answer: The DE200 supports all devices with a 3.5" form factor. A "true" 3.5" device is 1.6" high, with standard American thread mounting holes, and an LED drive activity indicator. Question: What is the benefit of the solenoid drive lock? Answer: The solenoid drive lock prevents an operator from removing the drive carrier from the receiving frame for a preset period of time. This prevents possible damage to the drive that can occur when a still spinning drive is disturbed. Question: Why would I want the hot swap feature? Answer: The hot swap feature protects the SCSI bus and supports installation, removal or exchange of drive carriers while the computer system is still operating. This function prevents interruption of ongoing SCSI bus activity by monitoring the computer and other devices on the SCSI bus and delaying the actual power up/down of the DE200 drive unit until an inactive period is detected between SCSI bus cycles. Please note: if your system does not provide mount/dismount drive commands, you may still have to reboot your system after changing or adding a drive in order for the new drive to be recognized by the SCSI host adapter. Question: Can I buy 3.5 inch drives from ETI? Answer: We normally do not stock drives because of the numerous sizes and types and our customers having their specific preferences. However, we can offer drives on a specific request basis. Question: Will you integrate the DE200 into a chassis other than ETI's Disk Expansion Units? Answer: This would have to be discussed on a case by case basis. When you order one or more DE200 units integrated into one of our MissionCritical™ Disk Expansion Units external expansion chassis, this allows us to support and warrant the complete storage subsystem. This is extremely helpful to assure compatibility with the newer SCSI Ultra2(LVD) interfaces. Question: Why is the DE200 so much more expensive than the plastic removable storage units offered by other companies? Answer: The DE200 is an extremely reliable and versatile, rugged steel subsystem, especially designed for high shock and vibration environments. The DE200 lock-down drive carrier, as well as its use of non-PVC cable materials, are features which distinguish the DE200 from competitors. In comparison to the DE200, similar plastic versions offered elsewhere do not typically withstand the operating temperature of 50° C (122° F), nor do they employ the highly-rated mating connectors found in all DE200 products. The DE200 features exceptional front-to-back air flow, allowing it to support high performance drives. Also, the DE200 receiving frame has conductive guide rails which cause the drive carrier to be grounded when inserted into the its receiving frame, thus eliminating the effects of ESD (electrostatic discharge). For the operator, the DE200 provides a drive activity indicator light and displays the device carrier address on the receiving frame. Another feature of the DE200 is the variety of interface connections available. Competing products do not usually include the options for hot swap capability or a solenoid drive lock . Also, the DE200 is one of the first removable enclosures in the industry to support SCSI Wide Ultra2(LVD)* operation for up to fifteen devices (using the optional DE200 hot swap/repeater board). *Call your ETI Sales Representative to check for availability of these newer Ultra2(LVD) models. Question: Is the DE200 good for RAID applications? Answer: Absolutely! The DE200 is probably the most reliable removable drive product on the market today! Question: Does the DE200 conform to Military Specifications? Answer: The DE200 is specifically designed to secure the drive carrier with its receiving frame and it has been known to perform under rugged conditions and is used extensively by all branches of the U.S. Government, NASA, computer manufacturers, etc. 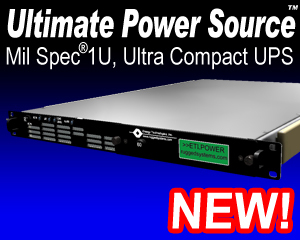 The DE200 is CE, UL, CSA and TüV-tested and approved and is designed to meet FCC Class B specifications.